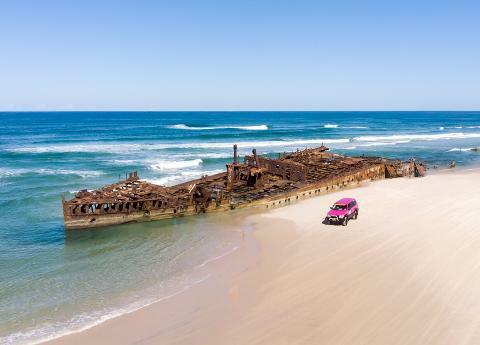 This is a 2 day 1 night self-drive 4wd experience to Fraser Island, with a personalised itinerary that coincides with the low tides on 75 Miles Beach (Fraser's Eastern Beach) where you can safely drive along to see the Maheno Shipwreck and the Coloured sands (Pinnacles), stopping at the famous Eli Creek. 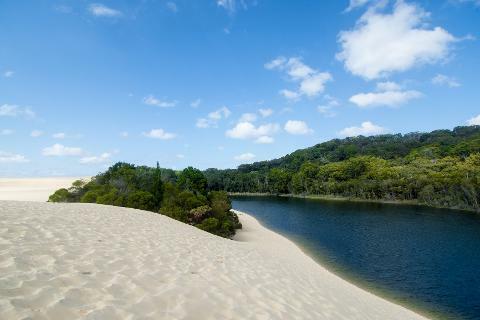 You can go as far as Cathedrals on Fraser in 2 days (kilometre limit 180km) Inland, be mesmerised by Lake McKenzie and Lake Wabby, be amazed by the ancient ferns and rainforest at Central Station with still plenty of time to get the 3 or 5 pm barge! Wanted to see more? 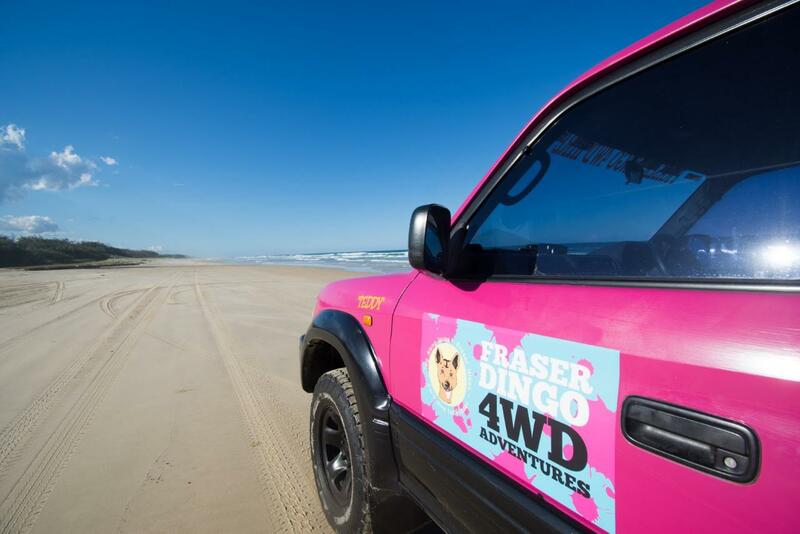 - Indian Head and Champagne Pools : choose a 3 day 4wd hire. Need more info? have a lo ok at our General Hire Information. Thinking of camping? 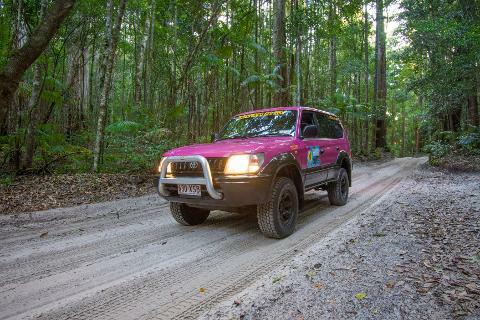 Then choose our additional camp package at $35 per person per night (includes camp permit and camp gear) OR see our Couples 4wd Camper. Please note there is a 180km approx. limit 2 day trips.